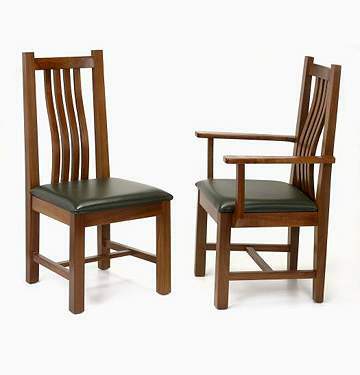 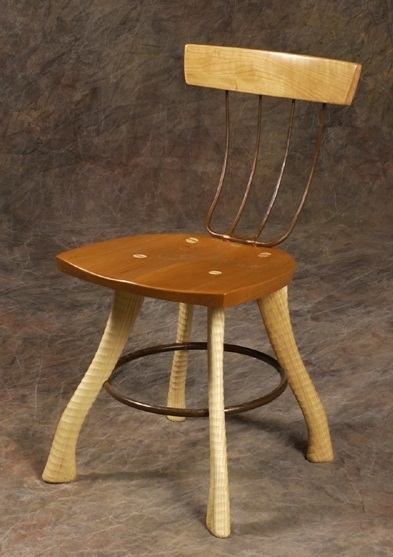 A very popular design, these traditional Arts & Crafts chairs have a slightly bowed back for increased comfort. 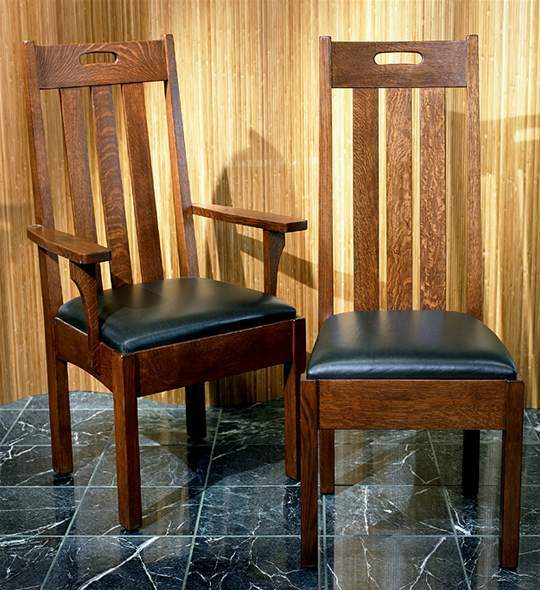 Ron and Steve will upholster the seat with fabric provided by the customer or, for an additional charge, they can provide a leather seat in a variety of colors. 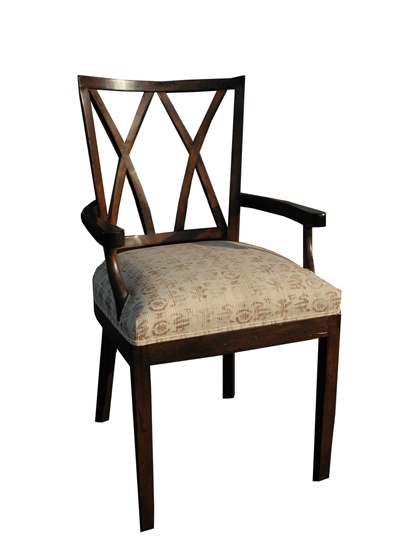 Provide your own upholstery material or choose a leather (for an additional cost) in a variety of colors.